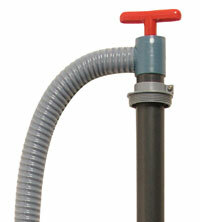 Beckson’s 336PF & PP series hand pumps are constructed of PVC with urethane valves and Buna-N seals. These models incorporate the same design features of our acid transfer pumps, and come with a clear vinyl hose (PP series) or a reinforced vinyl hose (336 series) The PP series pumps are 1-1/4” diameter, 36” long @ 11 oz. per stroke. 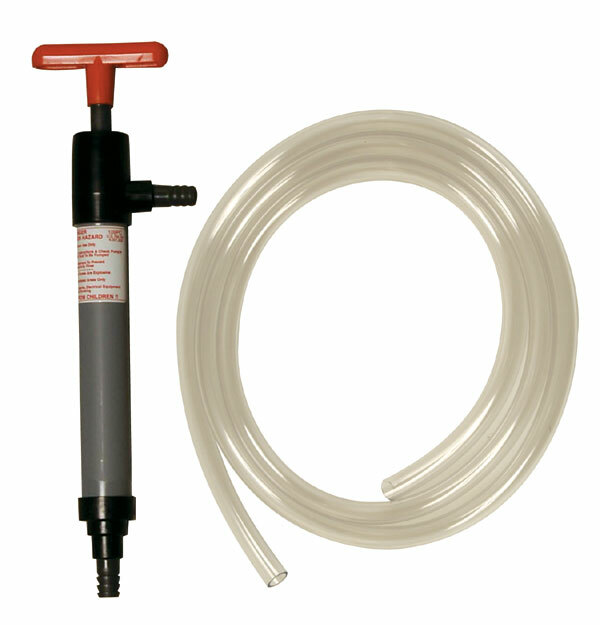 The 336 series pumps are 1-1/2” diameter, 38” long @ 28 oz. per stroke. Supplied with 8’ clear tubing. Siphons downhill if liquid level in source is higher than receptacle. Transfers kerosene, diesel fuel & water. Acts as a positive displacement hand lift pump. WARNING! Plan carefully for liquid to drain from hose after dispensing. WARNING! Remove pump from container when not in use to prevent unintentional siphon action or unauthorized use. Beckson’s automotive hand pumps are an effective and easy to use tool for the transfer of oils and fuel. 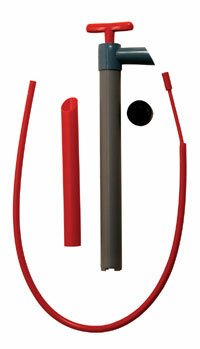 The 16PC model offers a variety of hose diameter and lengths for those hard to reach locations. The 12PGA model is specially adapted to pump crankcase oil from engines equipped with threaded fittings on the top of the dipstick tube. 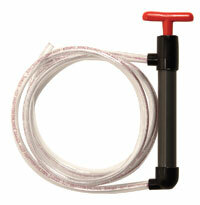 The threaded adapter fits standard male garden hose couplers. Both pumps are constructed of tough, non-sparking PVC and are self-priming.